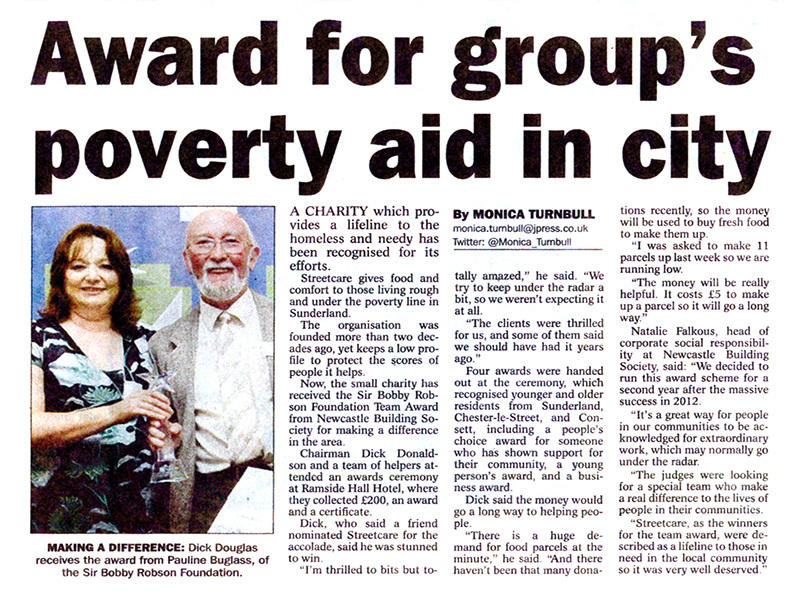 Streetcare have won an award. 'Sir Bobby Robson Foundation Team Award' for our continuous efforts to raise awareness and combat poverty, helping people and families in need, in the Sunderland area. Click the image to read full article.